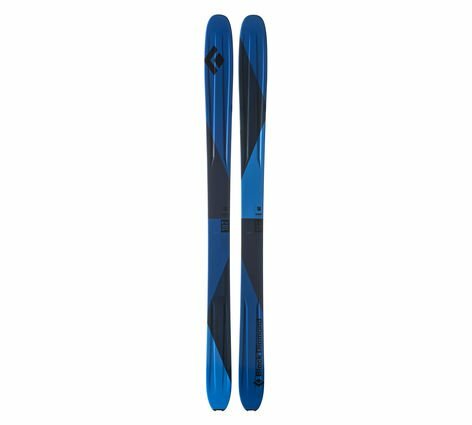 Our most playful freeride ski with a modern shape and 107-mm waist, the Black Diamond Boundary 107 ski provides fun and agile performance on pow days in-bounds or out, while still maintaining the dampness and edge hold needed for firmer conditions. Full tip and tail rocker provide maximum float and easy landings, while the poplar core and pre-preg fiberglass layup make for solid power transmission. The Boundary also features our Sidewall Dampening System, which employs a multi-density sidewall panel just behind the contact point to create an ultra-damp vibration barrier between the ski tip and the binding.